"The Altapure High Level Disinfection System has been an outstanding addition in mitigating the risk of environmental contamination of patient rooms. Elmhurst Hospital went live with the use of Altapure 2 years ago (March 2016). Beginning in July of 2016, we lowered our SIR <1 and have sustained an SIR< 1 for over 1 ½ years now. Our lowest SIR has been 0.452. We continue to strive for zero HO infections!" "This system represents a revolutionary change in how we clean. It eliminates the variability that happens when a person disinfects a room," says Pamela Dunley, Vice President, Chief Operating Officer/Chief Nursing Officer, Elmhurst Hospital. "Now when we clean rooms that were exposed to higher-risk (organisms), we can exactly reproduce the same process each time. It's safer for the staff, as well as the patients." 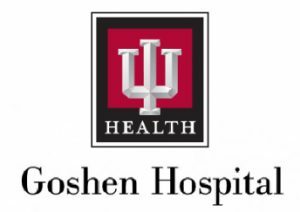 IU Health Goshen began using the Altapure unit in November of 2014. We chose it over a UV system, because the Altapure system disinfects everything in the room. We use the Altapure unit for disinfection of rooms that house patients on contact precautions for selected Multi Drug-Resistant Organisms. It fits into the workflow of our Environmental Services department, since while it is running in one room they are able to clean another. It is reassuring knowing that all surfaces in the room have been disinfected. Our representative actually brought biological test strips (used to test that an autoclave is properly functioning and sterilizing instruments). IU Health Goshen placed them in multiple areas in a patient room and bathroom. We ran the unit in the patient room with the bathroom door open. They were sent to an independent company for results. The biological indicators passed. This was just amazing to me. "Our patients come to us because they are sick or injured. We are determined to prevent them from acquiring an infection while they're in the hospital. Over the years, we've strived to achieve a zero rate of healthcare-acquired infections. The Altapure disinfection system is an enhanced component of the prevention measures already in place. Staff have said, 'I feel comfortable and safe having my loved ones come to Elmhurst.' I feel that way, too. Peace of mind comes from a process like this that shows a true commitment and dedication to patient safety."